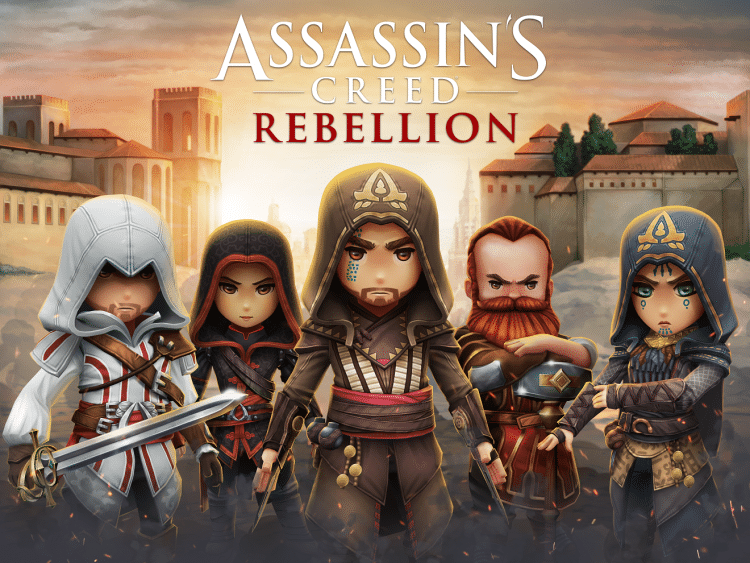 The critically acclaimed Assassins Creed franchise now finally has a mobile version of the game known as Rebellion. And, with a simple installation tweak, it is even possible to play Assassin’s Creed Rebellion for PC. Regardless of the device of choice, die-hard fans have a lot to smile about. The game takes players back in time during the Spanish Inquisition. You must build a brotherhood and fight against the Templars and their oppressive rule. There are up to 40 assassins to recruit, including legendary characters like Shao Jun, Ezio, Aguilar, and Maria. Download this turn-based strategy RPG from Ubisoft today and embark on a killing spree with a large array of cute but deadly assassins. While assassinations are a major part of Assassin’s Creed Rebellion for PC and mobile, players have a lot more to do. Some missions require you to eavesdrop on enemy conversation and gather intel. Other quests just need you to steal an item, regroup with a new recruit, or infiltrate Templar strongholds. Regardless of the mission objective, there are different routes to the end. Whether to use a stealthy approach or strike with a full-on attack is all up to you. You can pick three assassins from your entire roster of recruits to go on different types of missions. One character will lead the way but you can swap your choice at any time or continue if one dies in combat. It is important to note that each assassin has unique skills. For example, Shadow Class Heroes specialize in stealth approach. They can navigate the environment with ease, kill silently, and reach areas that are closed to other heroes. In contrast, Enforcers are good direct melee fighters who can suffer and deal more damage in combat. Other assassins can specialize in picking locks, disarming traps, or a different skill. As your brotherhood grows, you must manage their headquarters. This abandoned fortress in the Mountains of Cazorla will host a bee-hive of activates. You’ll create new rooms and assigning a character to manage them. The headquarters will also be where assassins meet to train, craft equipment, gather resources, create new medicine, and do so much more. Since the heroes specialize in different skills, some of them will be better suited for certain tasks. The game will recommend two assassins that would be the best pick for any stage. You are free to select any hero for the third slot but choose wisely. For example, a healer is a good idea if your lead assassin is an Enforcer who will take a lot of damage during combat. Each mission will show you different rooms to go through. For instance, some rooms may be heavily guarded while others offer a chance to sneak past enemies on watch or kill them with stealth. Other rooms may be clear but either have traps or require your character to scale great heights. Before entering any room, tap it to see what lies ahead and choose characters that have the skills you need for that stage. You’ll get different kinds of rewards depending on the mission. For instance, the main Story Missions give you a chance to win building supplies, gold coins, Brotherhood XP, and training codex pages. You can get those rewards in addition to various kinds of Ore by completing Loot Missions. To collect Hero DNA fragments for unlocking new heroes and upgrading their skills, you need to complete the Legacy Missions. Try as much as possible to complete missions with all three assassins alive. You get a 3 star rating for doing so. In addition, you will earn treasure cubes with different valuable items and activate the Rush option that that will help you complete upcoming missions faster.